Probably Deepika Padukone is trying to overtake even the Hollywood celebs. Only couple of days back there were reports in the media that Deepika is back to her first love, Nihar, but seems that Deepika’s love affairs would never cease. According to various media reports and their sources, Ranbir Kapoor said the magical words ‘I Love You’ to Deepika at the recent Filmfare Award function held at the Yashraj studios. 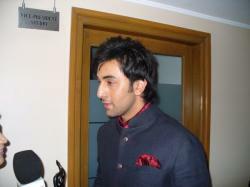 In return, Deepika smiled and repeated the same words to Ranbir. They were seen chatting, smiling, and giggling all the time backstage, and only returned to collect the best debutant male and female awards.